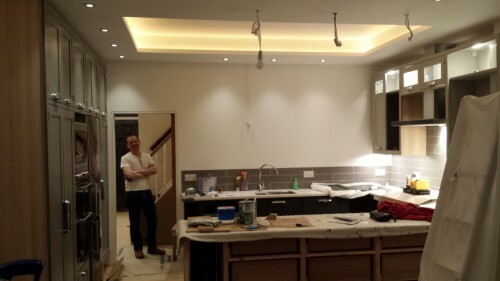 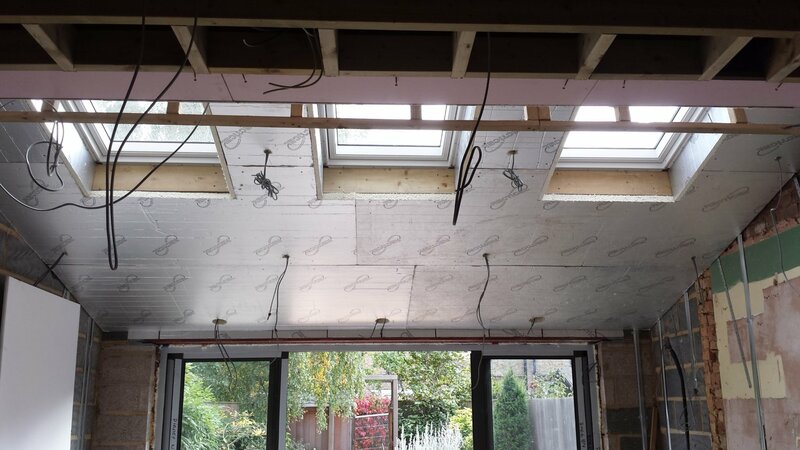 Good progress this week with the the first fix electrics all but finished, the new ceiling being fully insulated and ready for plaster board & skim. 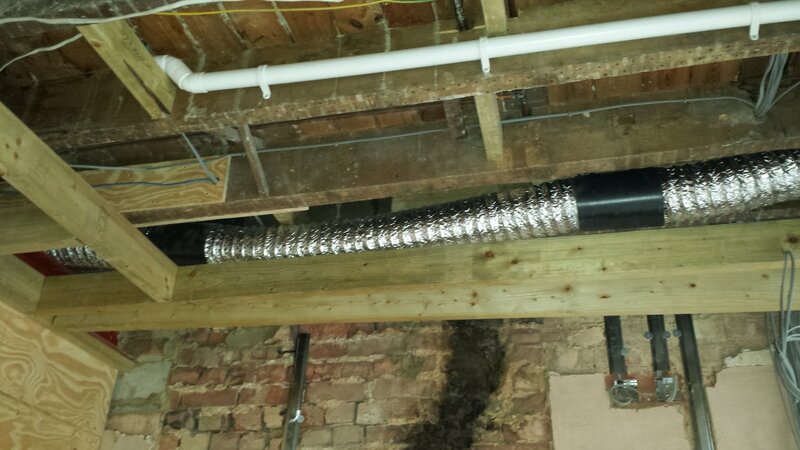 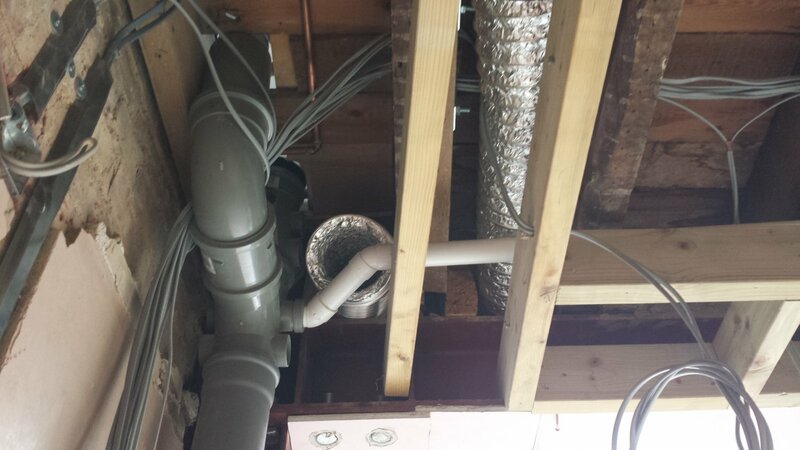 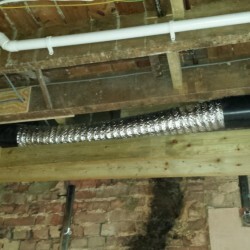 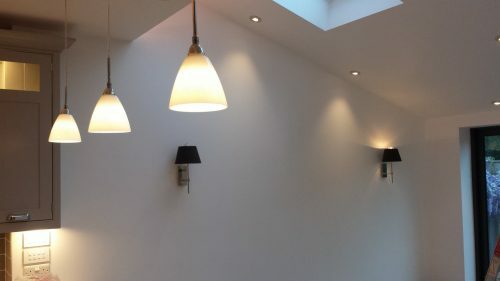 Ventilation extract pipes for the kitchen and shower room were installed through the old outside wall above the steel. 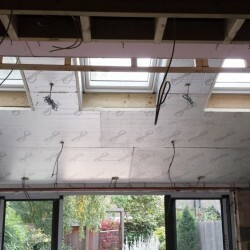 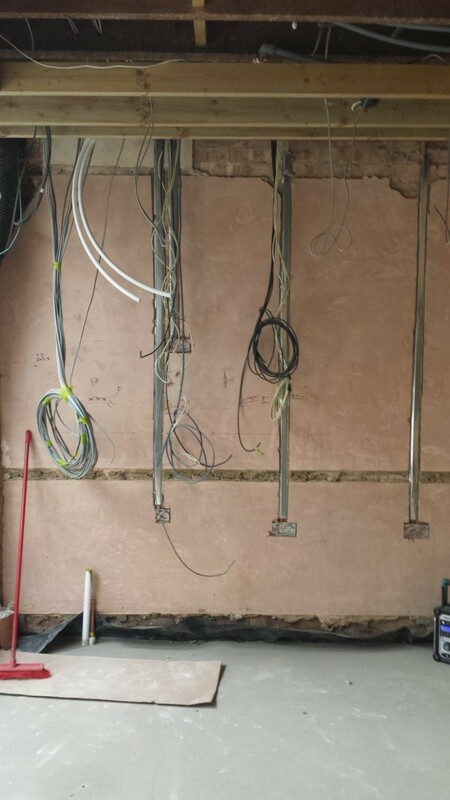 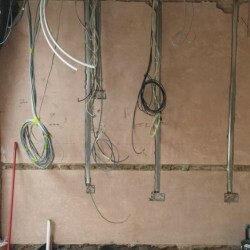 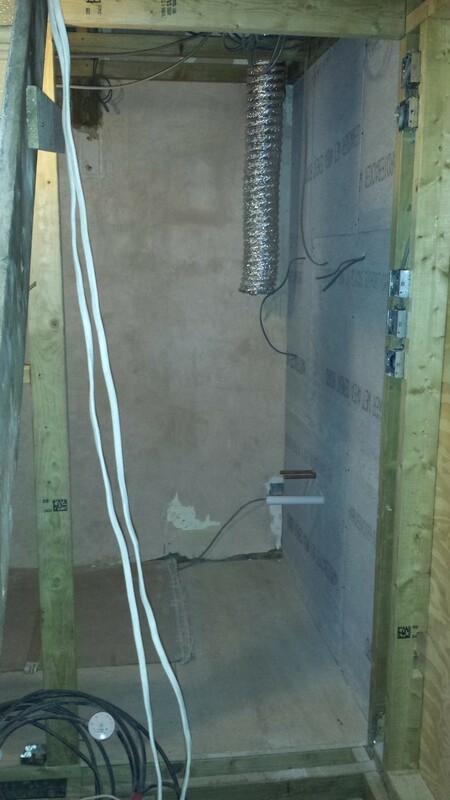 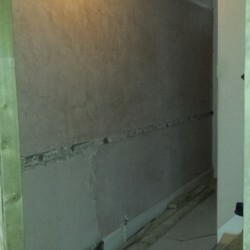 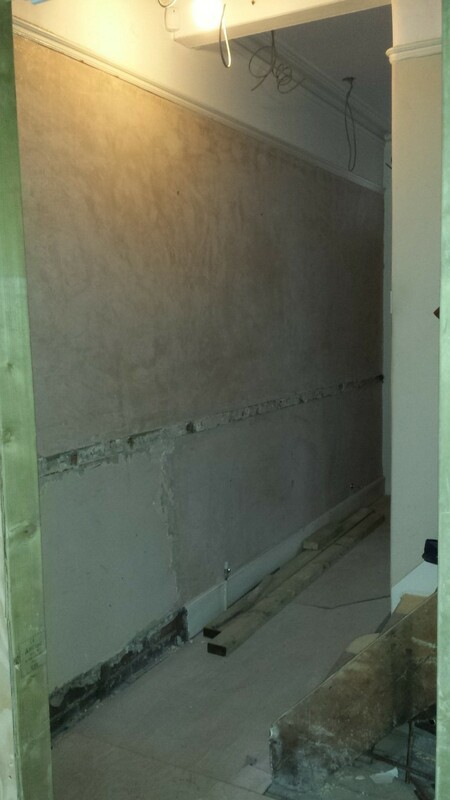 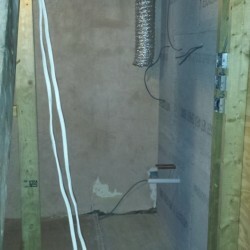 The shower room walls have been insulated and the tile backer board installed on one and half walls and the walls have been stripped of wall paper ready for plaster skims. 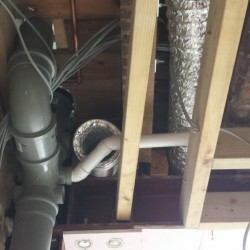 A 22mm cold water feed was rodded through the ceilings and walls from the loft tank via our bedroom, down the back bedroom wall and into the new airing cupboard in the kitchen. 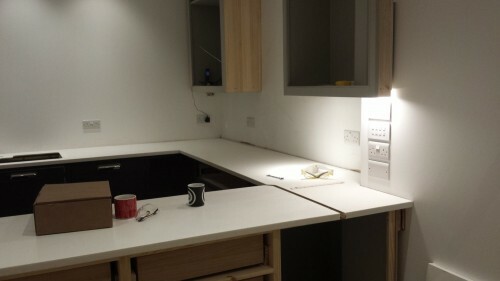 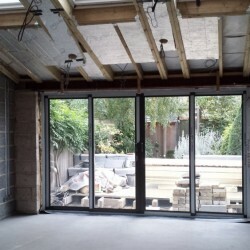 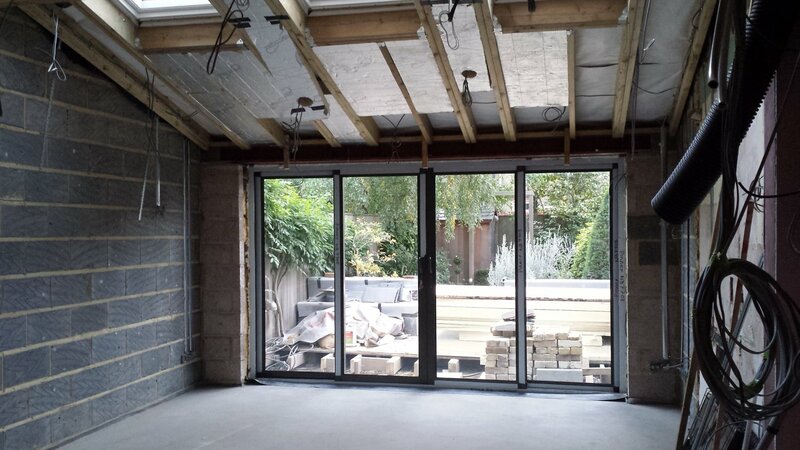 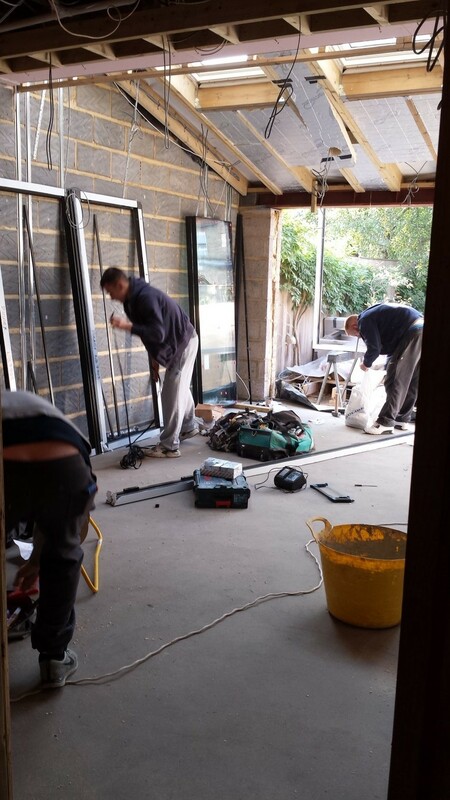 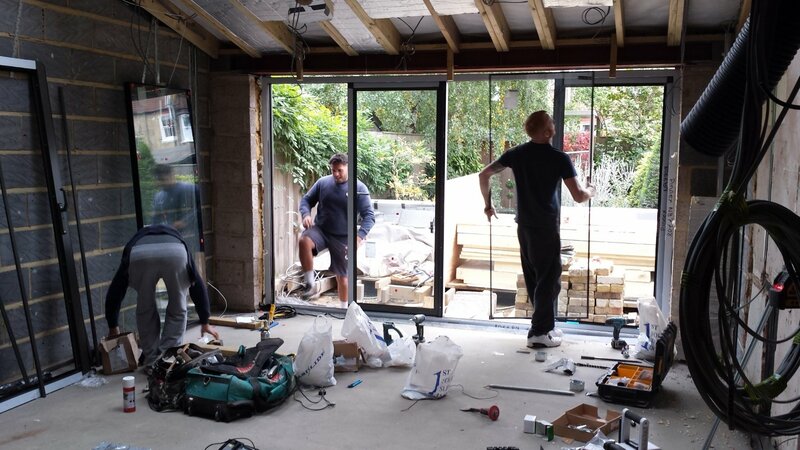 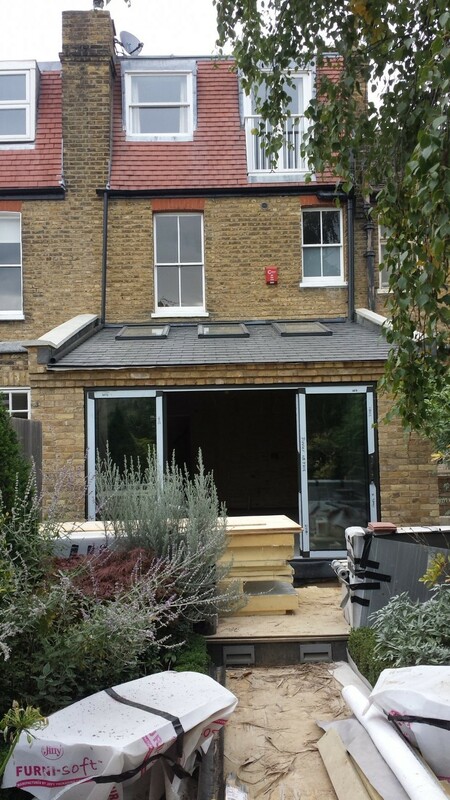 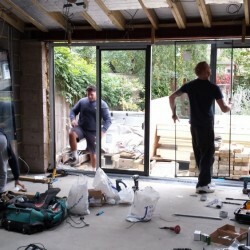 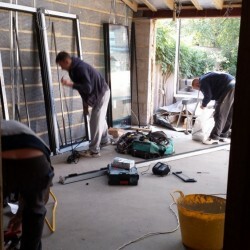 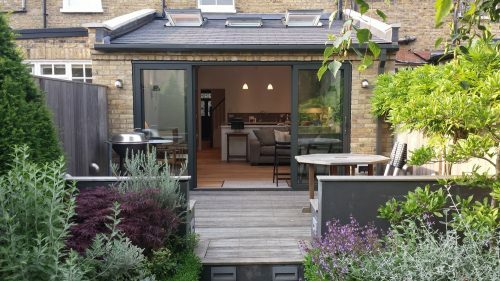 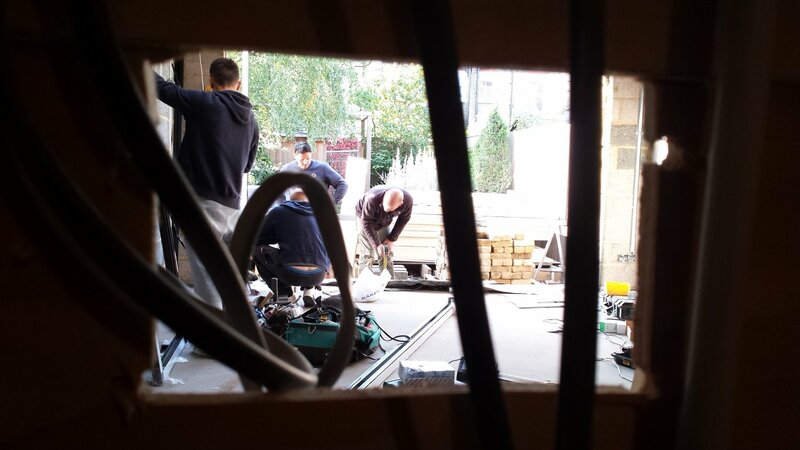 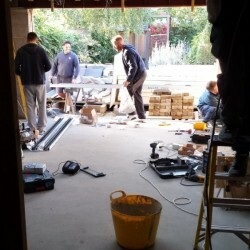 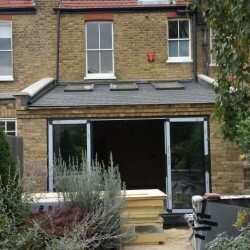 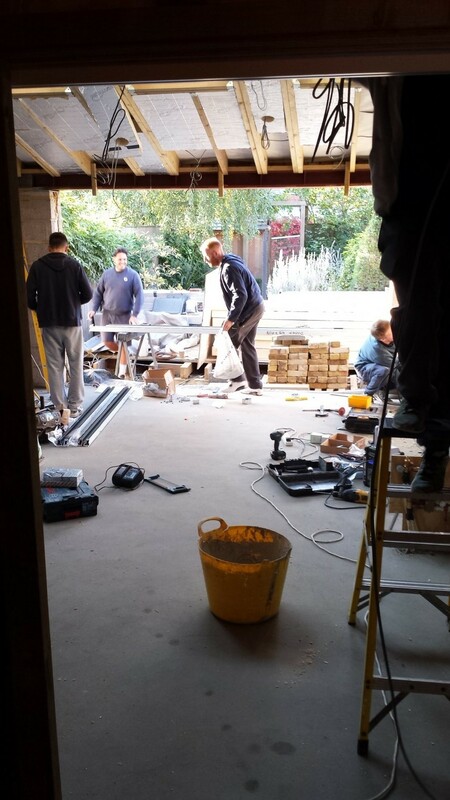 But the biggest change was the installation of the new sliding doors which now makes things a little warmer and secure from the wind and rain.